What happens when your only son becomes The King of Rock ?n? Roll? From the moment she first holds him, after his twin brother is stillborn, Gladys Presley loves her son Elvis ferociously. She will be his greatest influence, the love of his life. 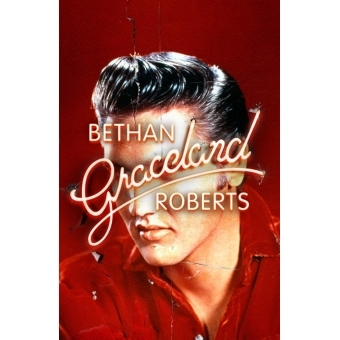 She will be the one by his side, when Elvis is a boy and his father is in the jailhouse; as the family move from place to place, skirting poverty in Tupelo, Mississippi; as Elvis?s obsession with music grows; as they move to Memphis and he begins his whirlwind rise to never-before-seen success? And he will love her back, even as his heart is turned by the blues, clothes and girls. But while he makes it big in Hollywood, brings audiences across the land to their knees and achieves unimagined wealth and fame, there is another story ? of drinking and diet pills, loneliness and loss. While the heat and music of the American South in the 40s and 50s play in the background, a heartbreaking portrait of a mother?s love and a son?s devotion takes centre stage. When Elvis reaches the height of his power, he buys his family the ultimate mansion on the hill, Graceland, where he hopes his mother will be happy. The reality, though, is very different, and Elvis finds that even kings must go on alone.